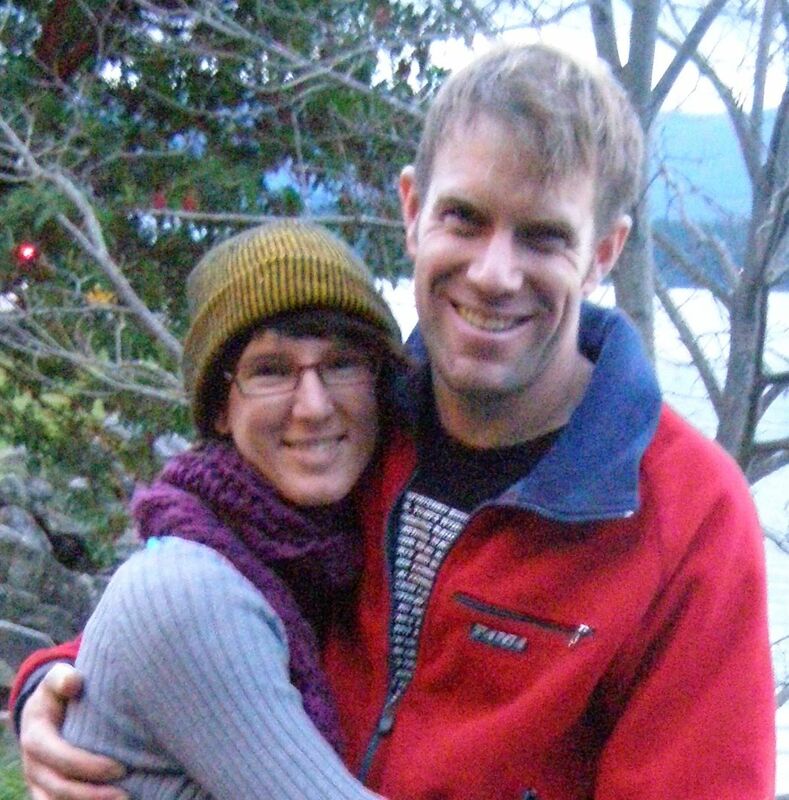 My sister is a big fan of the “chicken tractor”; a little a-frame coop on wheels that has an open bottom so the chickens can weed between garden beds. 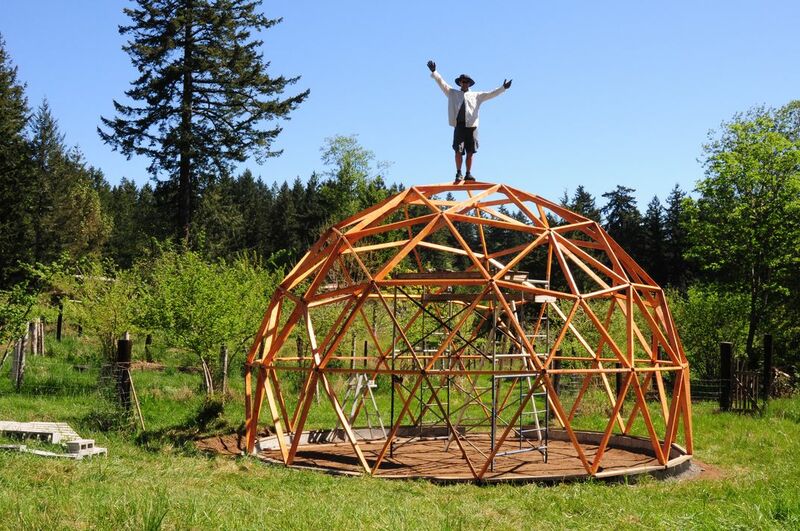 So when I started getting questions about geodesic chicken coops the two things collided in my head and out came the geodesic chicken tractor! And as you can see from the above picture someone has already built one! The only thing missing on the mobile chicken coop pictured above is a nest box and roosting area. Which brings me back to the geodesic chicken coop on wheels. 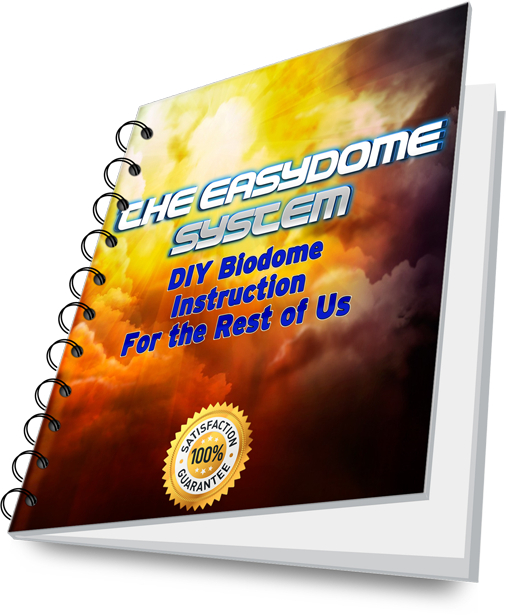 Use the geodesic dome calculator at www.desertdomes.com or save yourself a bunch of head scratching and frustration and pick up the eBook that puts all your DIY dome building information together in one place at: Eden Biodome Revolution eBook. 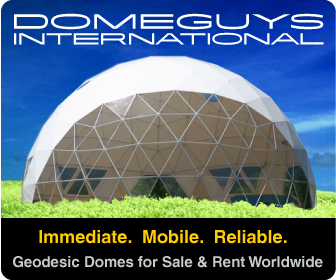 Anyway once you have your geodesic greenhouse building basics figured out then your next task is to modify your design to fit the needs of chickens. Think small light and secure here. As the picture above shows keep it low to the ground to prevent the wind lifting it and rolling it away. Make sure the edges come within an inch or two of the ground so that your smaller chickens cant slip under the edge of the mobile coop. Also having the chicken tractor low to the ground helps prevent predators from getting under the edge though if a weasel or mink wants your chickens there is almost nothing you can do to stop it. Once you have the basic shape figured out make at least one quarter covered and having at least two nest boxes that are accessible from the coop and from the outside. Put a curtain over the nest box from the inside to give the layers “privacy” while they provide your omelet materials! The last things you must have are roosting bars about midway between the ground and the roof (under the covered area) so that the chickens have a place to sleep out of the rain and off the ground. Yes chickens sleep. And they prefer to do it while perching on a bar or branch or dowel. Make sure its wood so they can grip it and don’t be afraid to get creative with oak or hickory branches. The chickens will enjoy wrestling for the best roosting spots and you will save money at Home Depot. 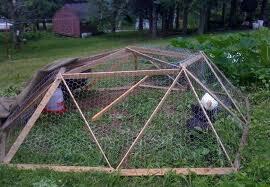 Lastly your geodesic chicken tractor needs to have wheels so you can move it around by yourself. Because chickens are so thorough when it comes to tilling ground you have to move them every couple of days or they will remove every scrap of living thing and leave you with a dome shaped moonscape! That being said, if you do move the house more often you can even use the chicken tractor to keep your lawn healthy and pest free if your neighbors will put up with a rooster next door. Oh yeah, you need a rooster. Chickens will lay without one but are much happier with and if one of the “ladies” decides she wants to sit on eggs in the spring then you can replenish your flock for free! So there you go, another thing to build. A two wheeled, self laying, geodesic chicken coop garden tractor! Good luck and if you do build one send me a picture and I will add it to this post.